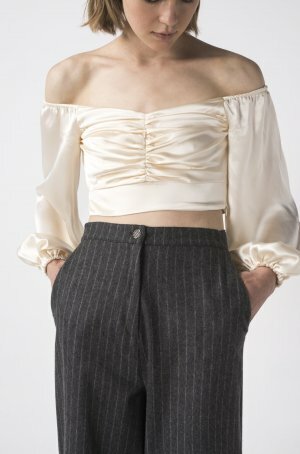 This crop top is cut from satin. The gathered puffed sleeves can be draped off the shoulders or pushed up to cover them. Matching it with our Satin Midi Skirt.